Usually Valentine’s Day is reserved for gifts with my husband. It’s one holiday that we do not go overboard with the kids, but rather focus on homemade cards, some chocolate or cupcakes, and lots of love. This year I thought it would be fun to make some matching Mother / Daughter pajama pants to really celebrate the occasion. 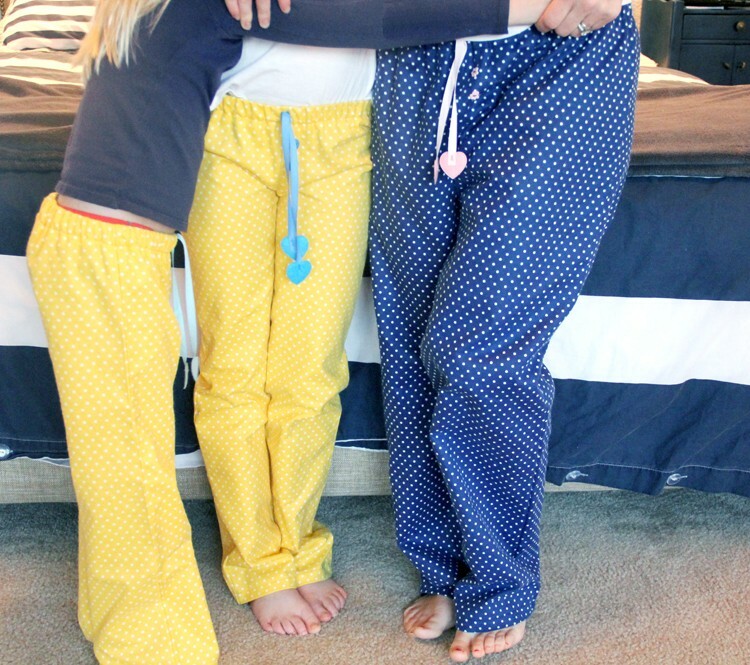 The perfect pants for the whole family to wear for our Valentine’s night movie-sleepover party! Now I just need to get to work on making some for my husband and son :). 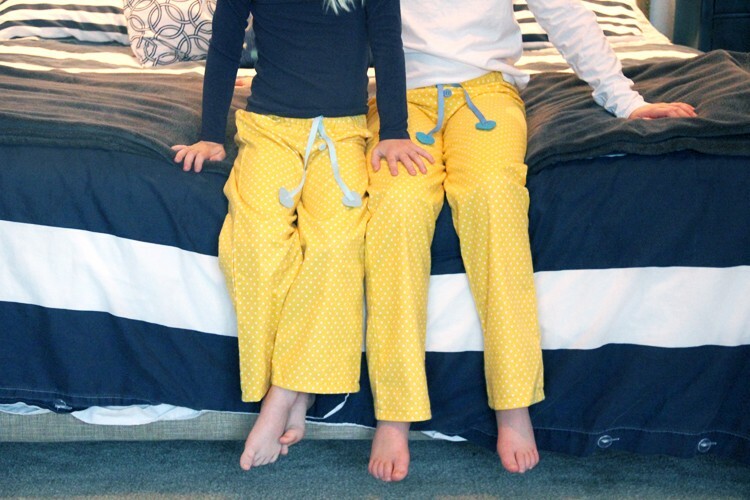 Valentine’s Day Pajama Pants DIY || Matching pajama pants tutorial. 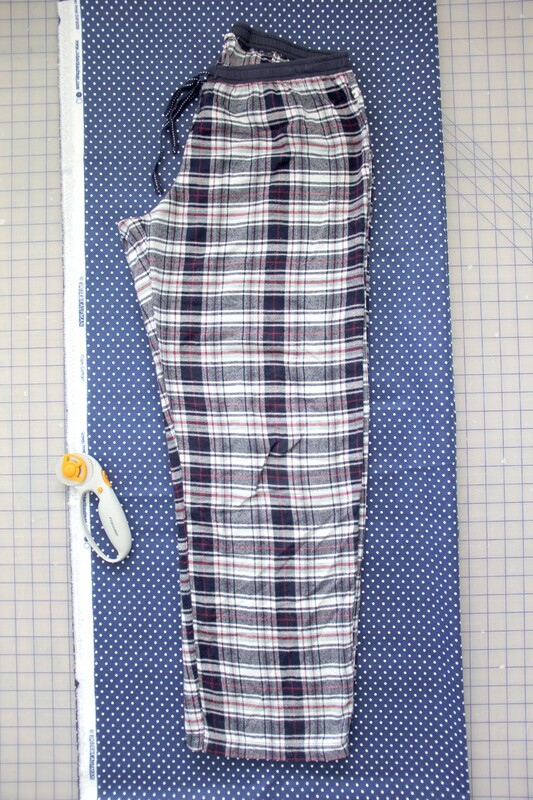 Lay a pair of pajama pants that you like the fit of directly on top of your folded fabric. Cut around, making sure to add seam allowance when cutting. 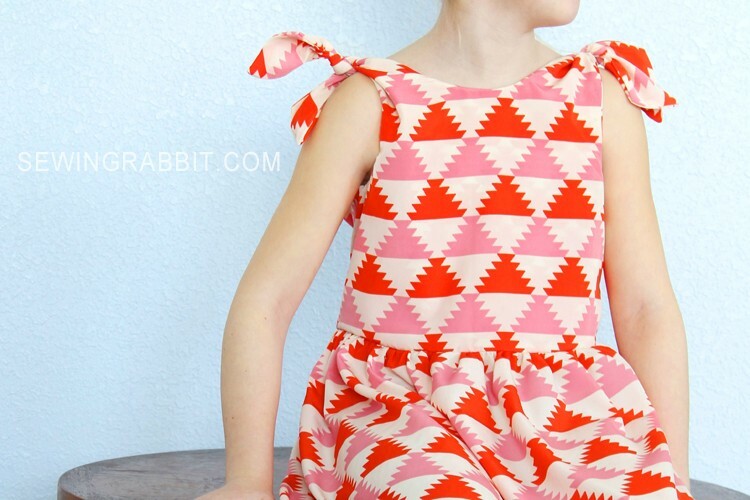 Add additional seam allowance for hemming, as well as an extra 1.5″ for the waistband. When cutting, make sure to carefully cut around the crotch, as well as the waistband – as these differ for the front and back pants pattern. Step One – Place 2 front pattern pieces right sides together. Pin and sew crotch seam. Repeat for back pattern pieces. Press seam. 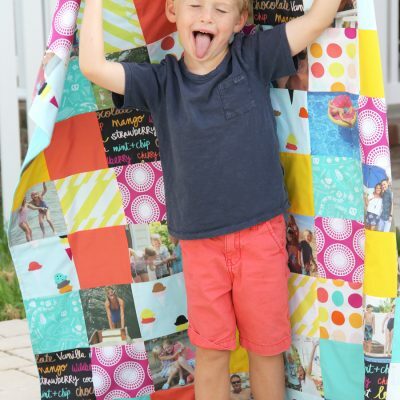 Step Two – Place front and back right sides together, matching up all side seams. Pin and sew side seams, as well as inner leg seam. Press. Step Three – Fold the waistband .25″ towards the wrong side and press. Fold again 1″ towards the wrong side and press. Pin around and sew, leaving a 2″ opening for inserting waistband elastic in the next step. Step Four – If desired, sew a faux fly by sewing 2 curved fly lines along the front crotch seam. Make sure to start beneath the sewn waistband line when doing this. Add buttons. Measure around your waist and subtract 2-3″ from that number. Cut elastic to length. Using a safety pin attached to one end of your elastic, insert safety pin into waistband casing and slip elastic around. Pin elastic ends together and sew. 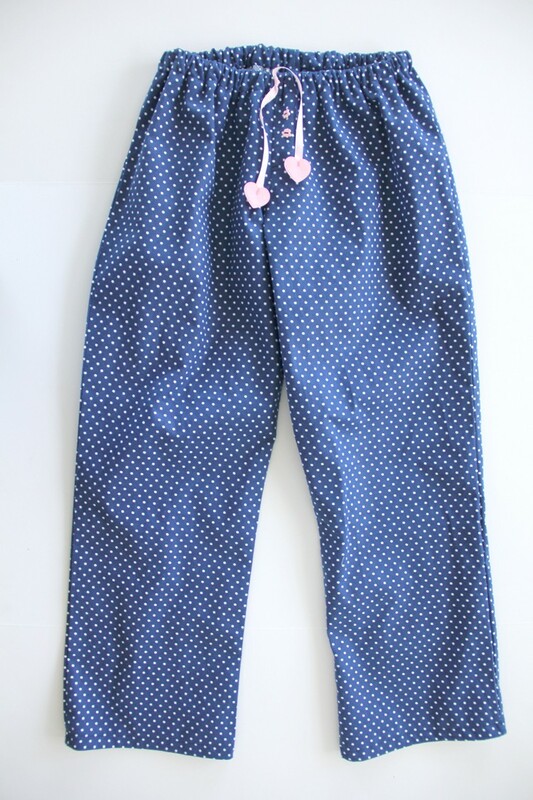 Slip elastic fully inside casing, and sew waistband opening closed with a straight stitch. Step Five – Sew hearts onto either side of the ribbon or twill. Step Six – Sew the middle of your ribbon to the front center waistband seam of your pants. Tie a knot, and you are finished!